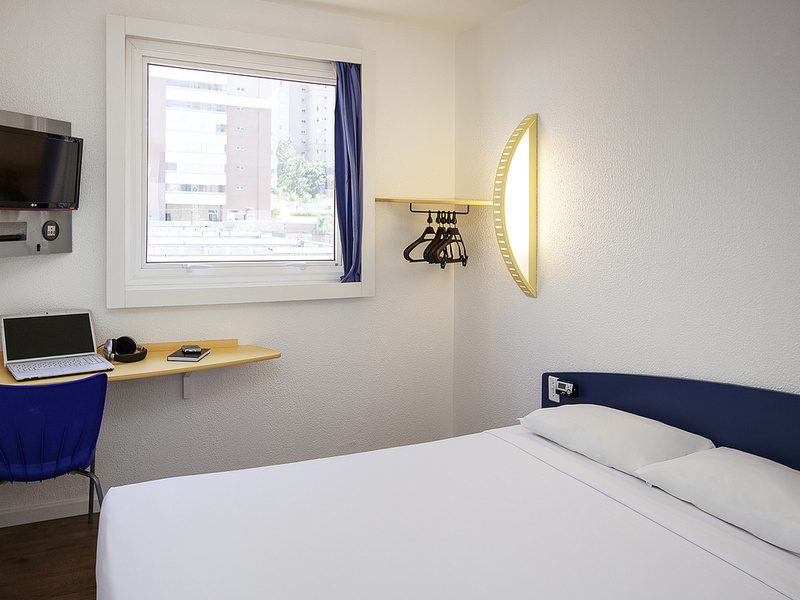 The ibis budget SP Morumbi is a low-cost hotel located in the southern part of São Paulo, just 6 km from Congonhas city Airport, 45 km from Guarulhos International Airport and from opposite Morumbi shopping center. It has easy access to the main highwaysv ia Marginal Pinheiros, and it is close to Av. Berrini, Av. Nações Unidas, and the American Consulate. The hotel has 378 modern rooms up to 3 people, with air cooling, flat screen TV, wi-fi and a good value breakfast buffet served every morning for you. Opposite the Morumbi Shopping Center. Close to Morumbi train station. 깔끔. 하지만 화장실과 샤워실이 비좁다.